FLIR Systems has announced the availability of a free machine learning thermal dataset for Advanced Driver Assistance Systems (ADAS) and self-driving vehicle researchers, developers, and auto manufacturers, featuring a compilation of more than 10,000 annotated thermal images of day and nighttime scenarios. 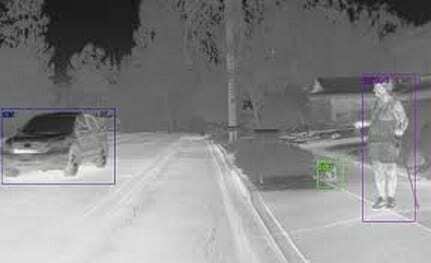 The first of its kind to include annotations for cars, other vehicles, people, bicycles, and dogs, the starter thermal dataset enables developers to begin testing and evolving convolutional neural networks (CNN) with the FLIR Automotive Development Kit (ADK). The dataset empowers the automotive community to quickly evaluate thermal sensors on next-generation algorithms. When combined with visible light cameras, LiDAR, and radar, thermal sensor data paired with machine learning, helps create a more comprehensive and redundant system for identifying and classifying roadway objects, especially pedestrians and other living things. With over a decade of experience in the automotive industry, FLIR has more than 500,000 automotive-qualified FLIR thermal sensors in driver warning systems from automakers such as General Motors, Volkswagen, Audi, BMW, and Mercedes-Benz. FLIR thermal cameras have proven reliable in the classification of pedestrians, bicycles, and vehicles in challenging lighting conditions including total darkness, fog, smoke, shadows, inclement weather, and sun glare at nearly four times the distance of typical headlights.